First, it is important to understand the difference between Medicare and Medicaid. Medicare is the health insurance coverage offered to individuals 65 years of age, regardless of income. The discussion herein is for traditional Medicare. Many seniors have opted to have a Medicare Advantage Plan, in which case the provisions for skilled nursing care may be different from traditional Medicare, and even between different Medicare Advantage plans. Traditional Medicare, like other health insurance, has limitations. With respect to nursing home care, Medicare will only pay for “skilled” nursing care or rehabilitation following a three day hospital admission. Medicare will pay the full cost as long as Medicare determines it to be necessary, but for no more than 20 days. If skilled nursing care continues to be needed after that, Medicare will continue to contribute to the cost for up to a maximum of an additional 80 days, but with a substantial daily deductible. The deductible must be paid by the individual, or possibly by their Medicare supplement insurance plan, if they have one. Medicare never contributes to any nursing home care that is deemed to be custodial, nor will Medicare contribute, even to skilled care, if there wasn’t an initial three day hospital admission. For individuals recovering from a stroke or other major medical event, they may require nursing home care much longer than what would be paid for by Medicare or any Medicare Supplement or Medicare Advantage Plan. Unless a person is wealthy, or has long term care insurance, Medicaid will be the next option. 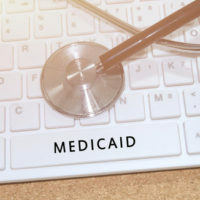 Generally, Medicaid is associated with medical coverage for low-income individuals that cannot otherwise afford medical care, but it also provides assistance for those persons requiring treatment in a nursing home if certain qualifications are met. Even for those persons who might be financially ineligible, there are often approved means for restructuring assets and income, to achieve eligibility. Assuming a person qualifies financially, the individual will ordinarily contribute most of their personal income to the cost of the nursing home expense, with Medicaid paying the balance. Unlike Medicare, Medicaid is not limited to just skilled nursing care it is also available to pay for custodial care. And there is no requirement for an initial three day hospital admission. Unlike Medicare, there is no limit as to how long Medicaid assistance will be provided. To qualify for Medicaid, a person must be a Florida resident and must meet the medical, income and asset requirements. A doctor must certify that nursing home care is medically required. The applicant’s monthly gross income cannot exceed a statutory maximum. If the monthly income exceeds the limit, the statutory restriction can be overcome through the use of a qualified income trust. An asset limit also applies, so that Medicaid assistance is not generally available if the applicant’s “countable” assets exceed $2,000. Not all assets are counted towards this limit, however. Certain assets, such as a person’s residence and one vehicle, are not countable. But bank accounts and investments typically are. There are many nuances and exceptions to these basic rules. Achieving eligibility when an applicant’s assets exceed the statutory maximum can usually still be accomplished, but often requires the implementation of a complex strategy. An attorney specializing in elder law is needed to help an individual determine the most efficient and strategic way of qualifying for Medicaid while retaining the highest amount of income and assets legally possible. Attempting to handle these complex cases without legal advice can be catastrophic. Planning for nursing home care is an overwhelming issue, and if done improperly, can cost a person a sizeable portion of the assets he/she spent a lifetime amassing. William Rambaum, is certified in elder law, and can help clients formulate plans that meet Medicaid requirements but avoid unnecessary depletion of a person’s resources. If losing everything to nursing home care is a concern for you, contact William Rambaum’s Oldsmar office today to learn how they can help financially secure your future, as well as your family’s.